A promising new home data management concept by Artefact puts aesthetics first. We can video conference from two cell phones on opposite sides of the planet, but we still haven’t figured out the interface for our own living rooms. There are solutions on the market, sure, and the Nest is pretty interesting if you’re only worried about temperature. But we simply haven’t seen the brilliantly simple iPod or Facebook of home automation; no gadget or cloud service has commandeered our home lives yet. Expense is certainly one reason. But the other? It could very well be a lack of inspiring design. Music playback controls–the rings pulsate with the beat. Whether that middle-America-approved tagline appeals to you or not, the Serenity OS is gorgeous. Sterile home-automation functions become a series of relaxed infographics. Every piece of data you see is touchable and relevant to the tablet’s current location. 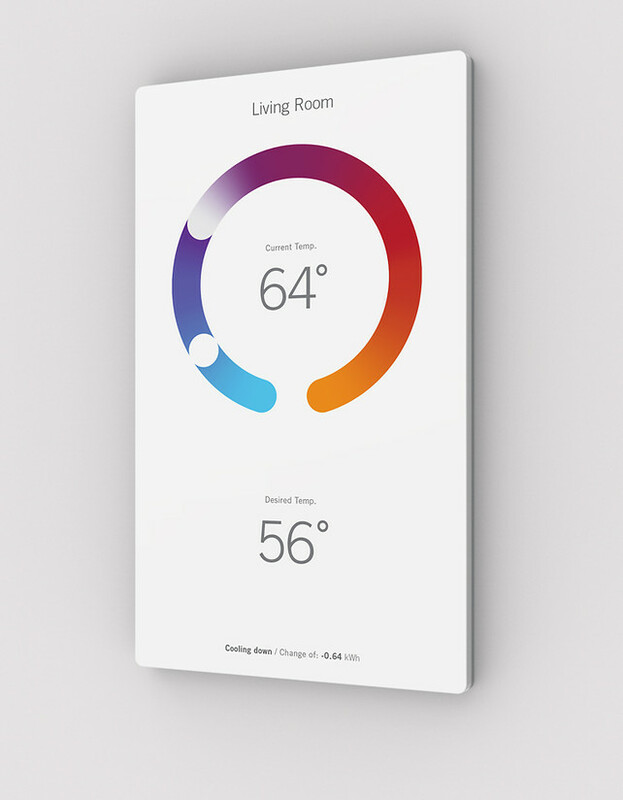 A wireless thermostat that’s vaguely reminiscent of Nike Fuel. Serenity OS’s flexibility is especially noticeable in the topic of energy consumption. Placed in the kitchen, leaves on a picture of a plant can wilt away to signify energy use. Or instead, Serenity can display a top-down view of the appliances sucking down the most power, with each appliance rendered as a circle with its diameter relative to its consumption. In either case, Serenity’s home automation doubles as a piece of data art, offering a welcome alternative to a future that could otherwise be full of ugly icons, buttons, and checkboxes elbowing for space next to the kids’ more attractive finger-paint creations on the refrigerator.